What makes the Volleyball World League so unique? How and when this amazing volleyball show started? First FIVB Volleyball World League, one of the most important and exciting tournaments of this sport was started in 1990 by FIVB. The government of world’s volleyball has decided, that annual competition is the best way to promote this sport, thanks to games in all the continents, which gather milions of fans from different nations. Now, World Leauge is known from wonderful audience, which often travel all over the world to watch their favourite team. 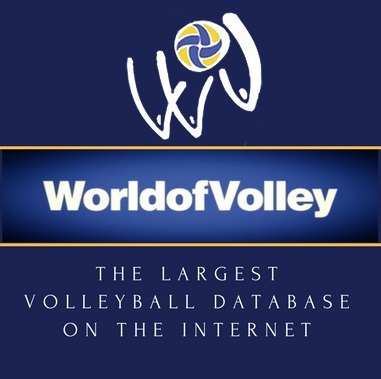 Searching solution for fans, who wanted to watch top teams more often than in competitions like Olympic Games or World Championship carried idea of tournament played on a one-year basis, in aleatory countries and cities, available for everyone, regardless of continent or volleyball tradition. Now, after all these years we can see that except these benefits, WL has taken part in local development – it let to discover a lot of interesting coultures and places for tourists. World League is definite ‘must see’ in every fan calendar. During the tournament, coaches usually test new tactical solutions, or bring to game players, who in next years will decide of strenght of the team. In addition, the tournament is a great opportunity to prepare for the next tournament (for example, this year for the Championships of the continents). The best of the best can count for remuneration for the rigors and labors of competition like high cash reward. Volleyball like all the sport disciplines changes very quickly, so do the winners. In 1990s Italy had no equal – they had finished first three competitions with gold medals. Then, Brazilians (who where just building their force) won in 1993, but Italians came back to the highest podium in 1994 and 1995. A year later, the final was won by hosts, the Duth and in 1998, by Cuba. Between 1990 and 2000, Italy won in Moscow (1997), Mar del Plata (1999), Rotterdam (2000), which is absolutely brillian resoult. New century has become a new era of volleyball too. Everything began in 2001, from the second brazilian gold medal. Their coach, Bernardo Rezende has changed this sport, by giving a new, for years invicible team. Brazil won all World League tournamens between 2001-2010 except two times – in 2002 prevented them Russia and in 2008, USA. What’s very interesting, these two competitions took part in Brazil. Older, more experienced players of Canarinhos team had to quit from playing, so next year wasn’t as good as previous for them. Winner, Russia showed us a great volleyball and gained a gold medal. Last year belonged to Poland, that after amazing games won final tournament in Sofia, Bulgaria. Now, we are waiting for results from Mar del Plata. Who do you think has a chance for being a winner?